I am absolutely delighted with the number of people reading my blog and book reviews. This August was the best month for my blog and I am grateful for everyone who has read, clicked and spent their time here reading about what I am reading. I am challenging myself more by reading out of my comfort zone, currently I am reading a fantasy thriller, The Winter Boy by Sally Wiener Grotta, which is not a book I would usually be drawn to but I obtained a review copy from Netgalley and am pleasantly surprised so far. I am finding it increasingly challenging to lose myself in my default choice of crime thrillers. 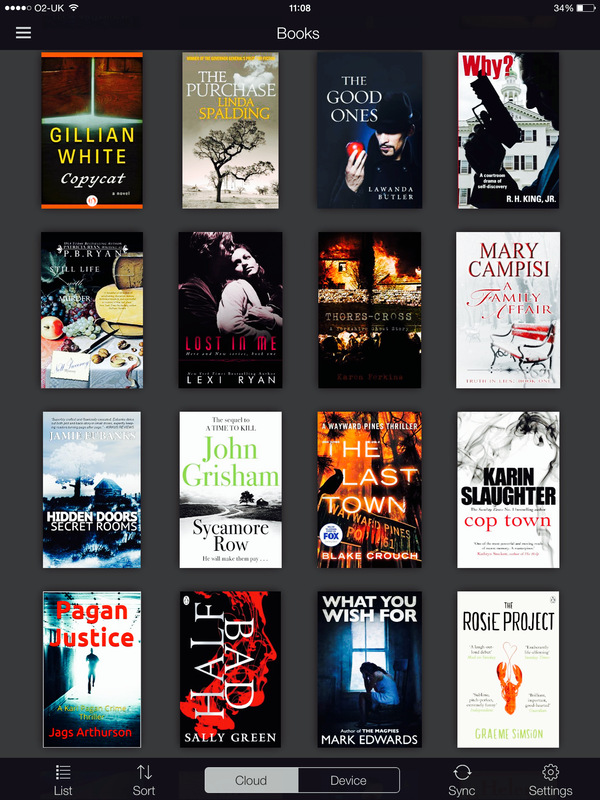 I still have yet to read The Silkworm (Comoran Strike Book 2) by Robert Galbaith, Cop Town by Karin Slaughter and Eeny Meeny by MJ Arlidge, all very capable thrillers I am told. I also have a number of Indie books kindly sent to me by authors and various promoters asking for reviews and I am reading my way through those and hope to tell you about my fantastic Indie reads. The best place, I find, for book recommendations is still The TV Book Club on Facebook where readers are the majority voice and many of them terrifyingly voracious when it comes to books. I hope this Autumn I have some scintillating books to read and tell you about. Thank you for taking the time to read my blog. Well done, keep reading, I read The Rosie Project a while a go and really liked it, well I had to read it with a title like that didn’t I? You sure did, Rosie! I have fallen very behind on books I have bought to read, but it hope once this month’s review requests are done I can relax a little and read my back log.